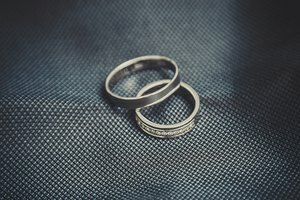 Whether you have a single pearl ring that's losing its luster or you have recently inherited a string of pearls, you may wonder how you can get your pearls to look their best. Pearls are beautiful organic gems, but they are quite delicate and require a fair amount of consideration and care. Restoring pearls does take some effort, but can yield excellent results. Fill a cup with warm water. Put a few drops of gentle soap into the water and mix the water and soap thoroughly. Dip a cloth into the soap solution and wipe down the pearls with the soapy water. Wet a clean soft cloth. Wipe the soapy water from your pearls thoroughly with the clean damp cloth. It is important that you remove all the soap from the pearls or the soap residue will further dull the surface. Dry the pearls by leaving them on a clean towel. If you are taking care of a pearl necklace, keep it flat on the towel to dry. Apply a small amount of olive oil to a clean dry cloth. Wipe the cloth over the pearls gently, allowing the olive oil to coat the pearls very lightly. 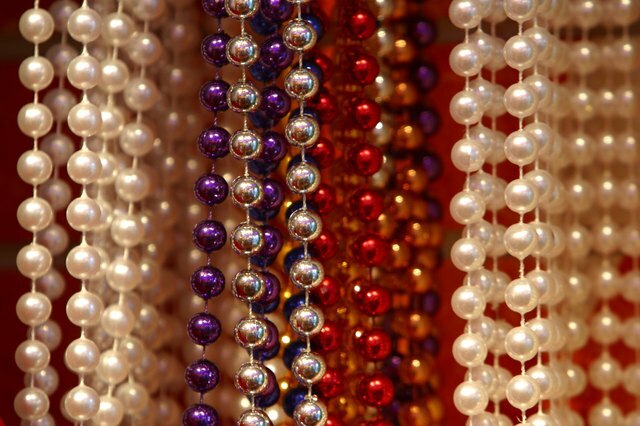 Store your pearls lying flat rather than hanging up, as this will help you preserve the string. Restring your pearls once a year. Do not use cotton cord, as this can be worn through too easily. Instead, nylon cord or pure silk thread should be used. Your pearls should be the last thing that you put on and the first thing that you take off. Makeup, deodorant, hair spray and perfumes can dull your pearls very quickly. Wear your pearls regularly. Leaving your pearls constantly in a dry cold place may cause them to splinter and it will certainly dull their luster. Wearing them regularly can help them get the moisture that they need. 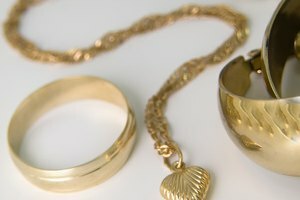 Never clean pearls with a regular jewelry cleaner, as they can contain ammonia. 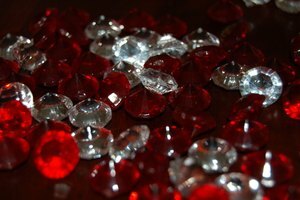 Instead, look for a jewelry cleaning solution that is suited for delicate stones. False pearls can be redyed or even refreshed with a little bit of pearl nail polish, but you should never try these measures on real pearls. 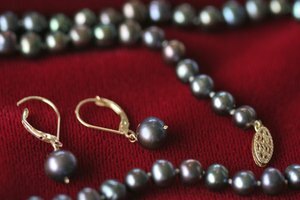 Never put your pearls in an electronic or ultrasonic jewelry cleaner. 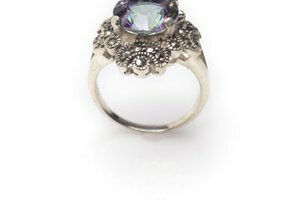 The agitation will cause the pearls to knock against each other and other jewelry, causing scratches.